Of Relavitvity Theory and Nature’s Architects…..Ever seen the Carol Burnett Show? Hello again fans of Middle Earth! 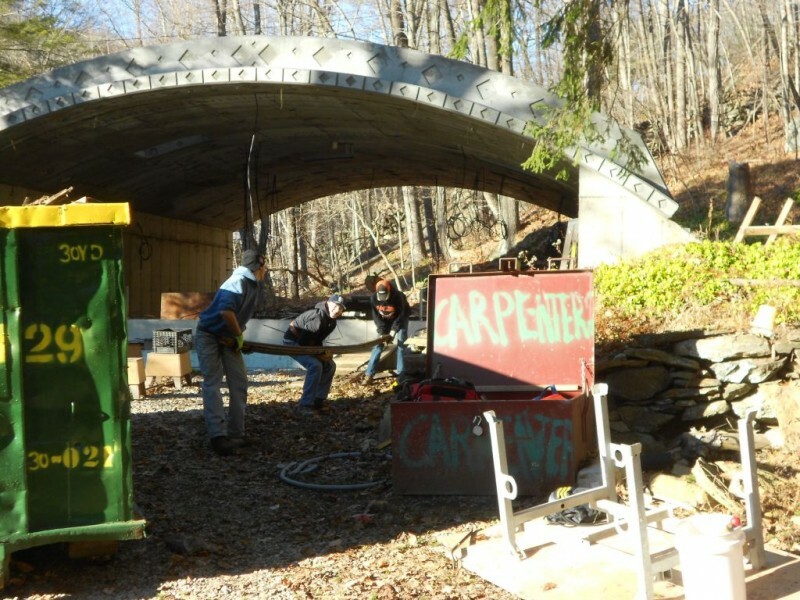 Welcome again and I’m glad you made it for another edition of the Hobbit Hollow Construction Blog! There really is so much out there isn’t there? There’s just not enough time. Yet time is relative is it not? Hmmm. Relativity Theory. Something I learned a bit about long, long ago. Yes, the concept of time interests me and the doom of the Elves is that they are immortal. Timeless. Ageless. Is that a good or bad thing? Is it their doom?It’s been said the Numenoreans lived upward of about 500 years. The Dwarves lived long lives as well. You can definitely get quite a bit done in 500 years. I’d probably be on my second or third Hobbit House! Where the heck is Jim going with all of this you’re wondering? “Interstellar” the movie. Okay, you all know I’m a sci-fi/fantasy fan. I went to see “Interstellar” Saturday night with my wife and Terence. Very deep. Long. (About 3 hours….The Editor noted that we got our moneys worth….The Editor happens to be very good with a buck.) So when you’re watching a movie in the theatre and the film is making you think deep thoughts that’s good. So I enjoyed it. I’m not gonna say it’s for everyone cause it definitely isn’t but it touched on a number of issues the earth is wrestling with and it is relative. There’s that word again. Anyway just a bit about the movie. The earth is dying and a worm hole (Nature’s Architects or something deeper?) appears near the planet Saturn. They send out missions into the worm hole to see if there are any planets on the other side of the hole that are habitable for human life. I’ll leave it at that. The special effects and the planet types are pretty cool. Ah yes, the future of the earth and Hobbit houses. Will they make a difference? We shall see…. Oh yeah, speaking of movies….a new Hobbit trailer came out this week for anyone interested. “The Hobbit: The Battle of the Five Armies” is the new movie and it looks like there’s a lot of action people. I hope it’s good. Not sure how much deep thinking we’re going to do with this film. Maybe we’ll just enjoy it for what it’s worth. Sounds like a plan Jim. When an immortal Elf dies what happens? I really got to get back to building this Hobbit house and stop going off on these tangents. The plan was to have the truck driver for the company I work for come up to the house and pick up all the stuff I don’t need anymore. I also was hoping to finish the rough plumbing. Oh yeah, and load up the 30 yard container with the rest of the garbage we need to throw out. Hmmm. Sounds like a lot of work……It was. Part of the problem was we hadn’t finished stripping the east side yet. A lot of that stuff I wanted to put in the dumpster and also load out on to the truck. I was up early people. I got to the site a little after 6 and started taking down the east side scaffold. We had about an inch of snow on Thursday which melted everywhere except on the scaffolding that I had to work on. It figures. 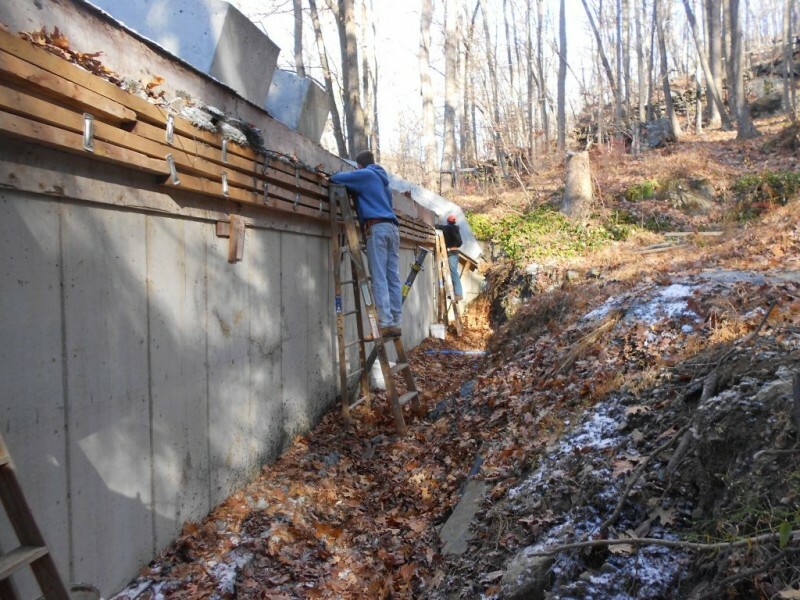 Dismantling plywood and planks with an icy snow covering is dangerous. Gotta be careful Jim. I was. It goes slower though. I’m glad the boys weren’t there. They really wouldn’t have been able to help until everything was down anyway. So it worked out pretty well. It was cold though. Around 26 degrees out. Believe it or not I was sweating like the veritable pig. When I went home to pick up Terence at 8:30 the Editor said: Why are you all wet? Oh, I just splashed myself with a water bottle because I like to be wet in 26 degree weather. Nobody understands. Oh yeah Nature’s Architects. I almost forgot. So as I’m pulling off the plywood deck I uncover a bird’s nest. I took a picture of it over the summer but I had forgotten about it since. Nests are truly amazing structures. How do they do it? I mean if somebody told you to build a house with your mouth only and no hands you would say that’s impossible. How do they learn to do it. Must be some sort of Nesting School they send their kids to. At least they can put into practice what they’ve learned. Check this thing out. Nature’s Architects….How do they do it? This picture came out fuzzy for some reason. I think the cold got to my camera and couldn’t focus properly. 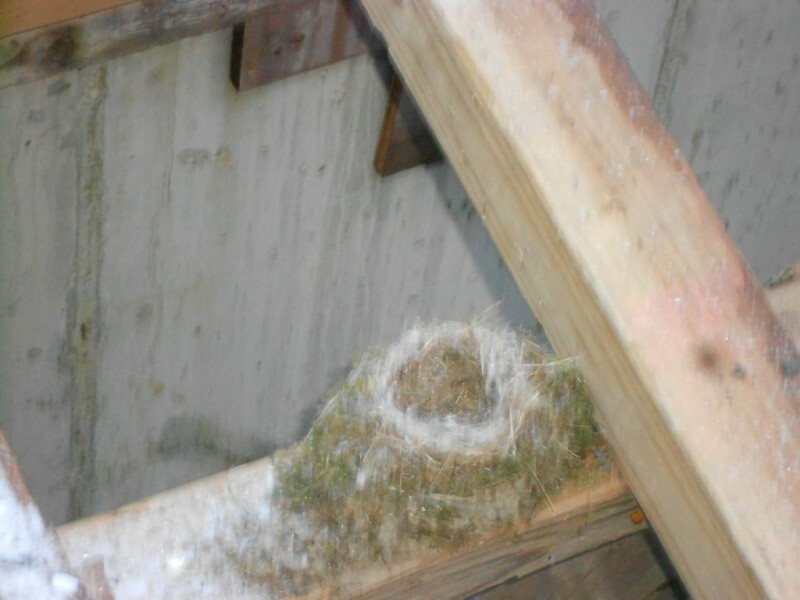 One of the things I did notice was that there were no bird droppings in the nest. Bird’s must toilet train their kids, too. Just an observation people. This Hobbit House will last. It will last for a long, long time. So I went back home picked up Terence and his friend Peter and headed to the house. Terence’s other friend Paul had wrestling practice so he wasn’t going to be able to make it until later in the morning. Like I had said this was a lot of work. I really wanted to have at least 4 people loading the truck because I knew how intense it was going to be. We managed though. So Alberto hit some traffic on the way up so he was running a bit late. Terence, Peter, and I were able to finish stripping the east side while we waited for him to arrive. That was a good thing. Here’s a picture of Terence and Peter taking down the east side walers. Terence and Peter dismantling the east side. Once Alberto got there he moved the 30 yard container into the street and dropped the flatbed next to the jacks. So the good news was Alberto brought his nephew Dominic up with him for the ride. That was awesome. He helped out a ton. Thank God he was there or we all would have been really dead by the time we finished loading up. First thing was the jacks…180 jacks at 77 pounds a piece. No need for the upper body workout at the gym after today. I figured it would take about 3 hours to load the truck….and it did. Paul showed up around 11. (After all the heavy lifting was done I might add.) and gave us a hand finishing off the truck load out. 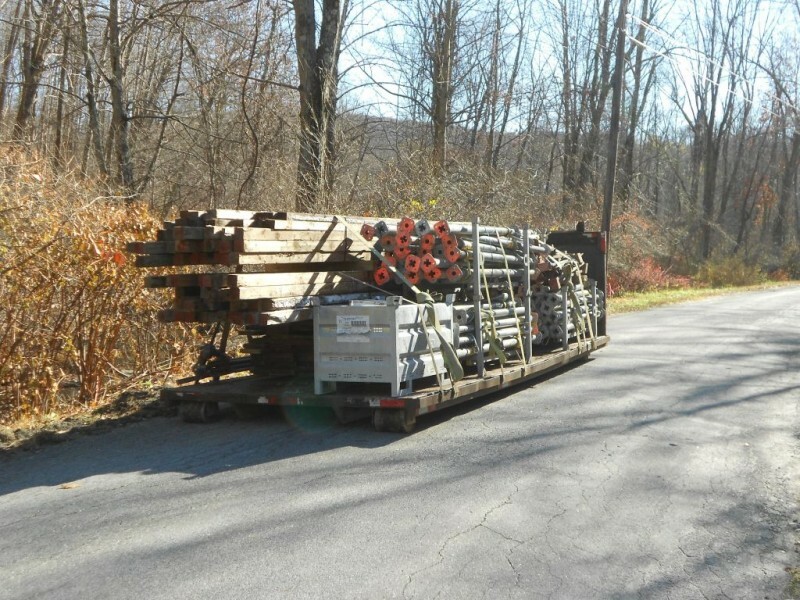 Here’s a picture of the flatbed fully loaded. Hobbit houses use a lot of stuff don’t they? So once this was loaded I had Alberto drop the 30 yarder back where it was so the boys could finish loading it up. I called the container company Friday and had a take away scheduled for Monday. So it was critical we get everything we possibly could into the container. There wasn’t much stuff though really. After lunch the boys took care of that lickety split. The next orderof business was to get ready for a gravel delivery. Just quickly. We are going to get 3/8 stone this week and level out the inside of the house to the underside of the insulation. It’s a lot of stone though. I haven’t checked but I think it’s going to be on the order of 75 tons of stone. That’s around three truckloads for those of you keeping score. So we don’t want to dump this stuff on top of anything and mess up stone installation day. 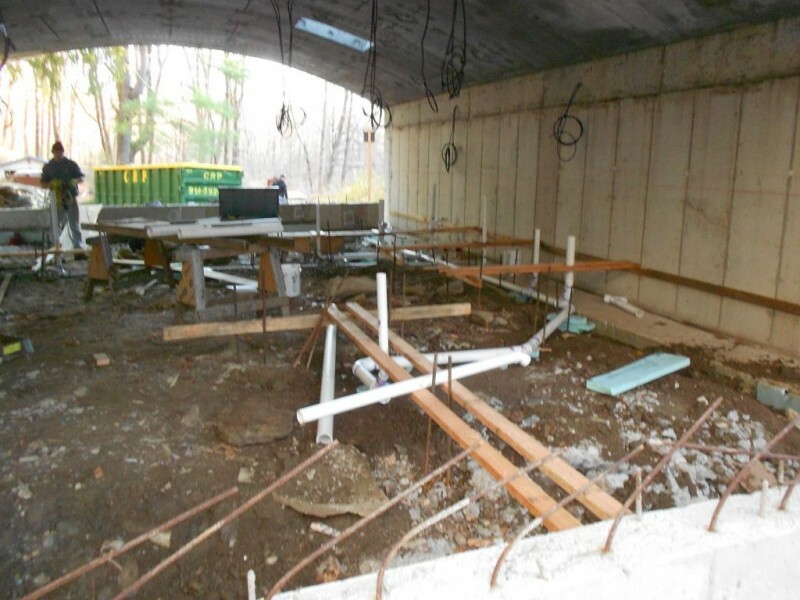 The rebar is in the way. So I had the boys take the balance of the rebar and put it up on the side hill so the skid steer we’re renting doesn’t mangle it all up. (FYI: I have a skid steer on tracks tentatively rented for next weekend. Hopefully I’ll get the rough plumbing inspection approved and the gravel delivery during the week if all goes well.) Moving rebar like this is really a three man job. First man on the end picks up about 3 to 4 bars and lifts. Middle man grabs the same bars and lifts. Other end man grabs the same bars and lifts until those bars are clear of the pile. Then you stack them. (You have to do it this way because the rebar doesn’t stack like lumber, it’s kind of all interconnected so you’re kind of separating it as you pick it up. Here are the three stooges. Moving the rebar out of the way. I, on the other hand, got into the plumbing. 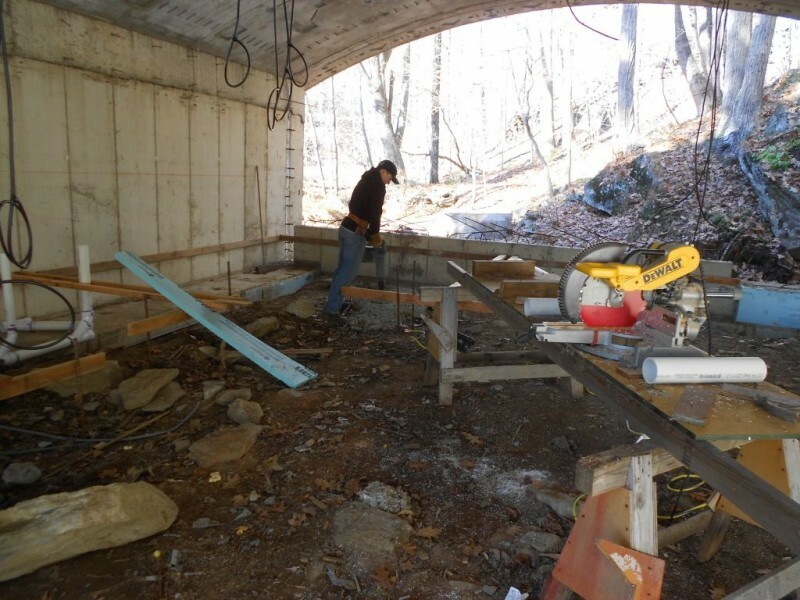 Issue one: Pump jam from the first concrete pour at Hobbit Hollow. I don’t know if you remember but the pump got jammed when we poured the footings. When it did we had to empty a big blob of concrete out of the pipes and onto the dirt. Never broke it up and cleaned it. We got to clean it now. It’s right in the way of the master bath drainage line. Break out the chopping gun boys! I set Paul up with the chopping gun and had him break it up. It was about a half hour work. Here he is having at it. Paul chopping out the concrete for me. As he was doing this I worked on running the pipe towards the last bathroom. Like I said I love plumbing work. Once you get into it you can really start to motor. We ran out of time but I was able to get the drain for the sink installed. All I have left is the toilet and the shower stall. Probably less than an hour of work. Here’s a picture before we left. Last bath roughing going in. The Three Stooges: Paul, Terence, Peter. These three worked really hard. They got a lot done as well. Just for the record Paul got another BLT for lunch. Heavy on the Mayo. (I guess I can stop asking him what he wants for lunch. )Things are looking good. Unfortunately, I was a physical wreck by the time we were done. I got home and my wife says ” You look like Tim Conway from that skit on the Carol Burnett Show”. Okay so you don’t know this one? Tim Conway did this old man routine on this show every once in a while. On one episode he was shuffling his feet on a hardwood floor going across a room. When he got to the rug portion of the floor he couldn’t lift his feet up high enough to get them on to the rug. That’s how I was walking by the time I got home Saturday. Those jacks nearly killed me. I took two ibuprofen and three brownies that my wife made and sat down. Whew! What a day! Anyway, it will be interesting to see how things work out this coming week with the building department and all. Gotta go! I’ll see you all next week! Some Rocks, an Apartment, an Art Museum, and THAT’S A DOUBLE YELLOW LINE!!!!!!!!!!!!!!!!!!!!!!!!!!! A Hobbit Hollow Medium?….There Are Two Kinds of People in the World…..
Wow, probably the heaviest work effort (no pun intended)that I’ve read on the blog. Inspections will go well. Look forward to reading next week. Hey Mike! How’s it going? Yeah,that was a brutal two hours. I talked to the building inspector this morning and I need to fully support the pipe before he comes out to take a look. It really was a stretch to get everything ready for an inspection like this one over this past weekend. Must be that Somers optimism kicking in. I don’t know if you’re following the weather up here but we’re going through a bit of a cold snap at the moment. It’s been a pretty mild Fall though in general so I can’t really complain much. It’s good to hear from you and I hope everything is AOK. Thanks for writing and enjoy sunny Florida for me!